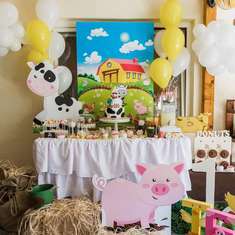 I’m so excited to share with you my “Pancakes, Pajamas and Plaid” kid’s Christmas party I created with Oriental Trading. It was such a great way to kick off the season…a morning filled with flapjacks, flannel, friends and fun! 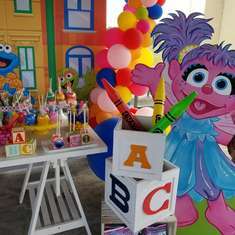 The kids had an absolute blast! 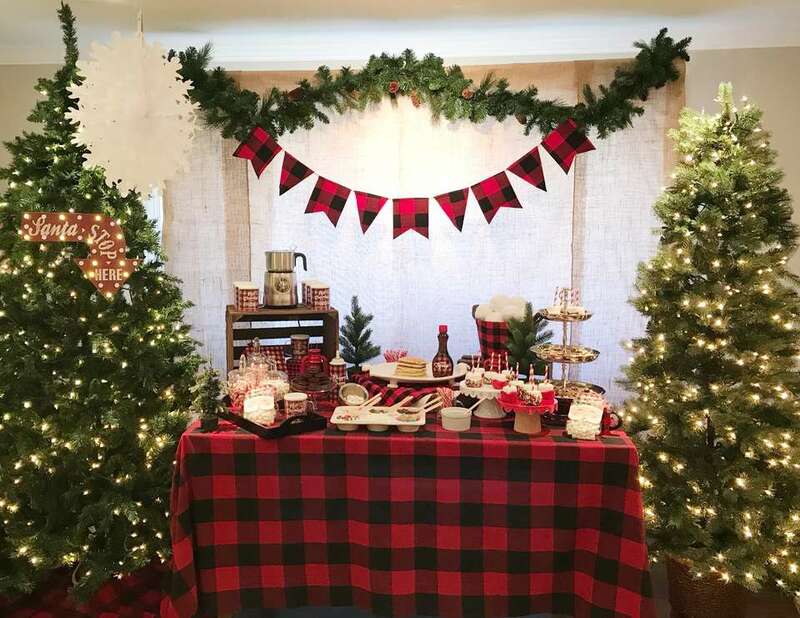 I wanted the theme of the party to be quintessential “Christmas.” As I was envisioning the party, my mind quickly wandered to lots of buffalo plaid and a whimsical lumberjack pancake breakfast and hot chocolate bar with a bunch of different toppings and sweets for both the pancakes and hot cocoa. Since the party was a breakfast and in the morning, I thought making it a pajama party too just added to the fun! As soon as I spotted the DIY mugs from Oriental Trading, the graphic designer in me could not have been more thrilled! They were very simple to make too. I designed my own art for the mug and then just removed the coloring page that was inside the mug and replaced it with my design. I sent all of our little party guests home with the coloring page so they could create a new look for their mug at home if they would like. I also used these mugs as “place cards” for the kids on the table. The kids loved looking for their names on each mug. Then they also took them home as a special favor from the morning! THE FOOD I think the best way to sum up my inspiration for the food at our Pancakes, Pajamas and Plaid party would be the following quote from Buddy in the movie Elf. “We elves try to stick to the four main food groups: candy, candy canes, candy corns, and syrup.” Haha! To me, Christmas is all about the sweet treats, so we had DIY (decorate our own) pancakes and a hot chocolate bar with all the trimmings. I would say the two biggest fan favorites were the jumbo dipped marshmallows and the hot cocoa cookies. Both were super easy to make also! For the jumbo marshmallows, I just dipped them in white candy melts and then rolled them in red sugar or sprinkles. The kids loved dipping them in their hot chocolate! The hot cocoa cookies were very simple too. The base of the cookie was a simple sugar cookie that you bake in a mini cupcake tin. Then after baking them, you use the handle of a wooden spoon to make an indentation for the “mug.” Then I added the candy cane handle using white candy melts. Lastly, you add a little chocolate pudding in the center for the “hot cocoa”…so cute and really pretty simple to assemble! THE FAVORS I figured it was only right for Santa to make an appearance at the party as well, so I made these little Lumberjack “Believe in the Beard” Santas for all of the kids. The mini marshmallow beards were a hit! Also, each child took home a “So Plaid You Came” treat bag full of goodies. THE REINDEER GAMES REINDEER RACING: In planning the activities and games that the kids could play at the party, Oriental Trading had so many great options. From the beginning, I had the idea of all of the kids playing “Reindeer Games” so as soon as I spotted their Reindeer Dashing Pull-back Racers I was so excited! I built a six-lane track using duct tape and strips of foam core for our first “Reindeer Game,” Reindeer Racing! The kids had a blast with this game. It was so easy for the younger children too. They just pulled back their little racers and let go… and the reindeer zoomed down the track! This was such a hit! To cheer on their friends when it wasn’t their turn to race, I gave all of the other children a Reindeer Hoove Hand Clapper. Everyone was clapping their hooves and cheering the reindeer on! ANTLER RING TOSS: The next game in our Reindeer Games was Antler Ring Toss. I was the resident reindeer as the kids tossed their rings. This was a fun one too…and the kids thought it was hilarious to see me in the giant inflatable reindeer antlers. ANTLER HEADBAND CRAFT: As we were channeling our inner reindeer, we all needed to look the part, so the next activity of Reindeer Games was our Antler Headband Craft. So adorable!! REINDEER TROPHIES: To celebrate everyone doing an awesome job and competing in the Reindeer Games, each little party goer earned an “official” Reindeer Games 2017 trophy as a sign of their great achievement. 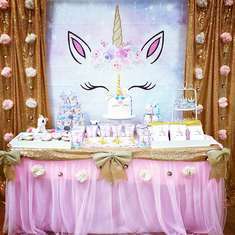 LAST STOP: PHOTO BOOTH FUN: The party could never be over without some photo booth fun! 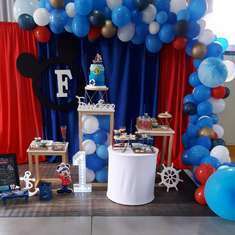 As you can see from the photos below, these photo booth props were another fan favorite and the perfect finale to the festive morning. Were the plastics okay for pouring hot items into? Did they crack? alter their appearance at all?